↑ Volta, Watersheds of the World. Water Resources eAtlas. Retrieved on October 6, 2007. 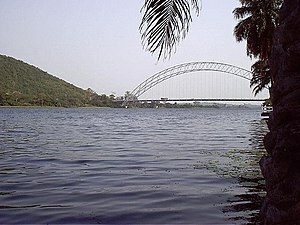 ↑ Volta River, Encyclopædia Britannica. 2007. Encyclopædia Britannica Online Library Edition. Retrieved on October 6, 2007.